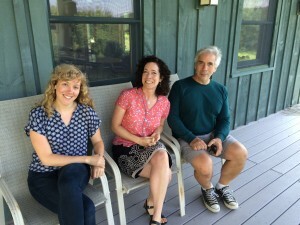 Lesley, center, with 2015 Fellows, writer Heidi Diehl, left, and photographer Bernie Yenelouis. Lesley began her tenure at Saltonstall in November, 2011. Prior to her move to Ithaca, she lived in Chautauqua County (NY) for ten years during which time where she worked as a program coordinator for Chautauqua Institution’s signature lecture series and, more recently, as the director of the North Shore Arts Alliance, a grass-roots organization representing professional visual artists in all media. Lesley earned her Master of Arts Management degree from Carnegie Mellon University. She brings a wealth of not-for-profit organizational experience in addition to a passion for the arts and a deep understanding of the importance of supporting art at its source. 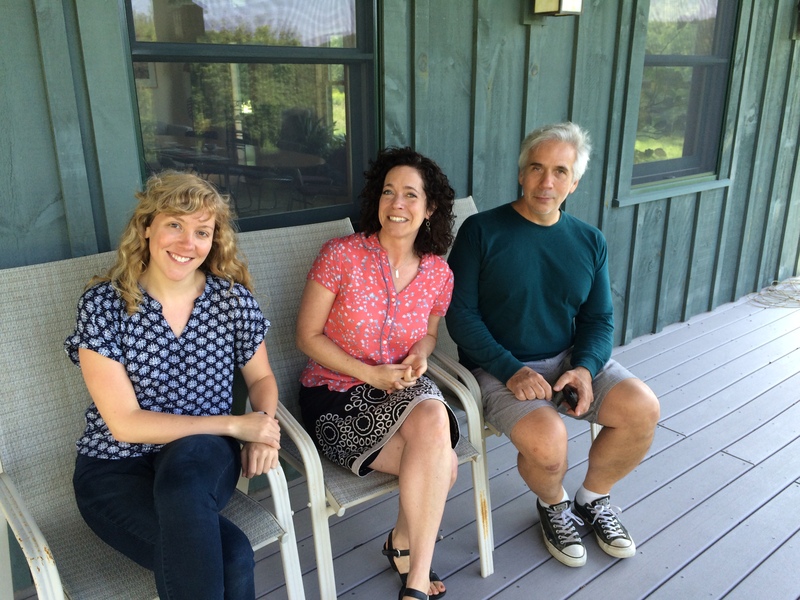 Lesley lives in downtown Ithaca with her husband David Coester, a classical guitarist. Dave Pealo came to us in 2006 and is a true Renaissance man. When you hold the title Property Manager you have to be. 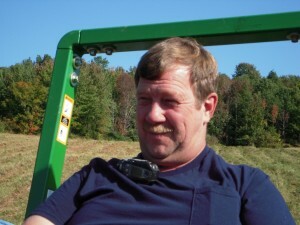 Dave plows in the winter and mows in the summer, maintains our hiking trails, fixes just about anything that breaks, and helps us brainstorm solutions to all manner of facility- and property-related challenges. 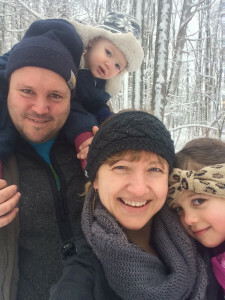 Dave owns Quality Property Maintenance and manages multiple properties throughout Ithaca. Mandy with her partner Josh and daughters Evelyn and Josie. Mandy Beem-Miller has been cooking for joy and wages since her first restaurant job in San Francisco 14 years ago. She has worked in award winning kitchens in Ithaca and California and studied culinary arts and food communications in Florence, Italy. Six years ago she opened a food truck and catering business called The Good Truck, a local favorite that serves high quality, local and seasonal “Ithaca-Mex” May through October. 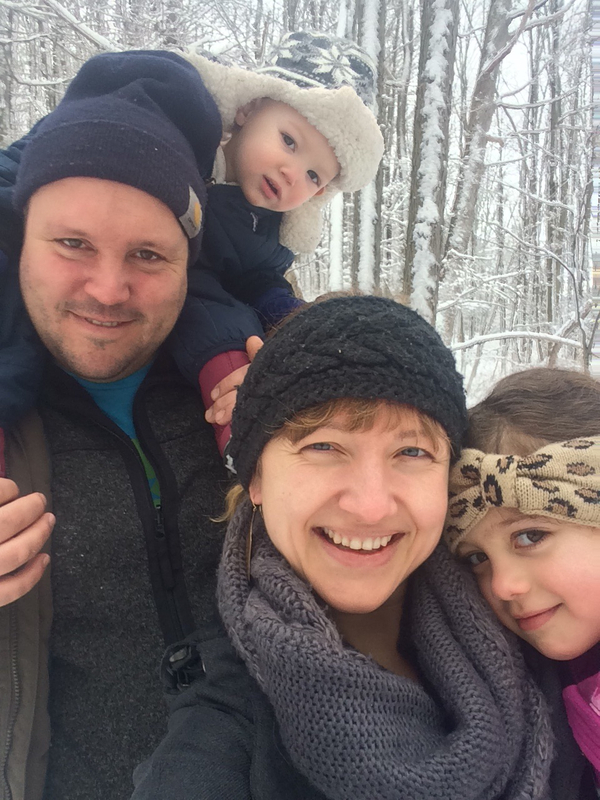 When she’s not cooking for work, Mandy loves to do cooking projects with her two daughters, Josie and Evelyn, and her partner Josh. She is thrilled to join the team and Saltonstall and thinks there is something extra special about this neck of the woods. Though she has lived and traveled many places, Mandy was born and raised in Ellis Hollow where she now lives with her own family.